When the Royal Canadian Air Force’s remaining Sea King helicopters are phased out, retired Air Force pilot Major (Retired) Paul O’Reilly admits it will be akin to losing a close friend. That’s because he spent much of his 34-year career in the Canadian Armed Forces flying the Cold War era, Sikorsky-built twin engine amphibious helicopter on and off the decks of Canadian warships. O’Reilly, 71, says saying goodbye to them will be a teary affair. Today O’Reilly spends two days of his week volunteering at the CFB Esquimalt Naval and Military Museum. He is a military history buff and founding member of the Vimy Flight group, which, in 2017, took First World War replica planes to the 100th Anniversary ceremony at Vimy. 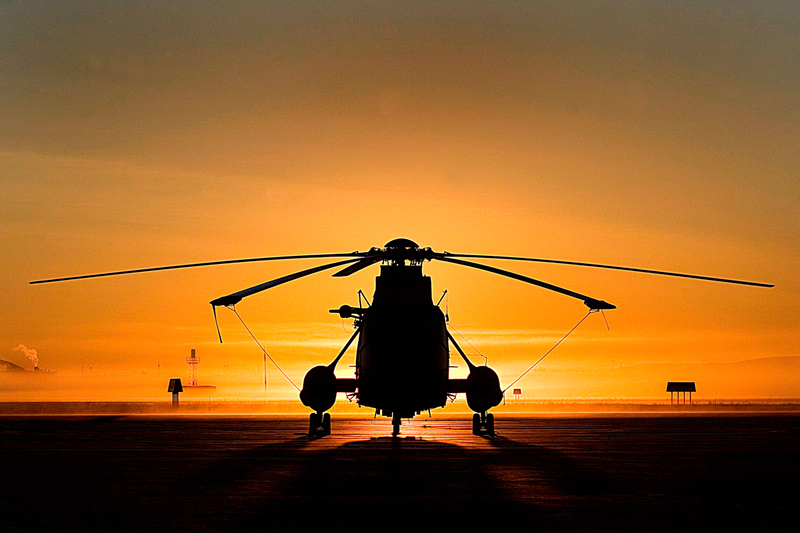 His love of history, and living some of it, gives him an interesting perspective on the Sea King. In 1987, he was a pilot on board HMCS Huron as it sailed through the Panama Canal from 12 Wing Shearwater heading to Esquimalt Harbour with two Sea Kings onboard. They were the first two helicopters to arrive for naval operations on the West Coast. A hasty replacement for them in Canada did not happen, and so the decades went by. The Sea King’s compact design, combined with a fold-up rotor and tail, enabled it to fit neatly in the hangar of a warship after landing on the deck, and its amphibious hull enabled it to conduct water landings in an emergency. The haul-down mechanism was developed in Canada. It uses a line and probe lowered from the helicopter to the deck and then attached to the ship. But their usefulness has gradually been eclipsed by new helicopters with modern technology. Today, very few countries still use Sea Kings. That includes the British military which said farewell to their remaining Sea Kings in 2016, and the U.S. military who replaced them 12 years ago. “The main reason the helicopter is being phased out is because nobody makes the engines or replacement parts anymore, making it next to impossible to make repairs,” says O’Reilly. This year marks the replacement of the Sea Kings with the CH 148 Cyclone, which are being phased in to service. As the future generation of aviators prepare to take to the cockpits of the new Cyclone, O’Reilly’s advice is “expect the unexpected”, as with any new technology. What a good story and fantastic photo. Always loved the Sea Kings. Hope they will be in a museum.